The capacity of solar Photo Voltaic Power plants are increasing day by day. The industry is witnessing intense competition in the solar field and several bidders are compromising on the quality of the solar PV module mounting structures. 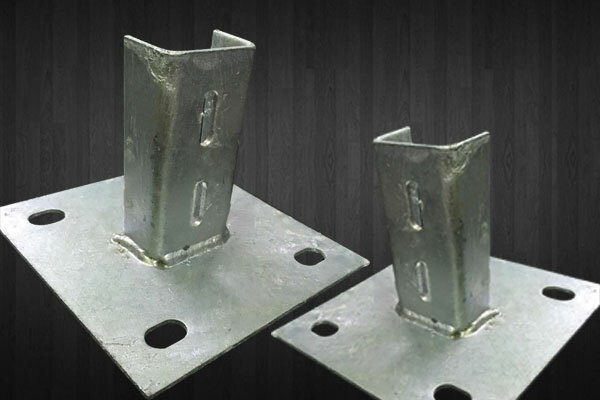 It is of paramount importance to understand the various aspects and the types of mounting structures. 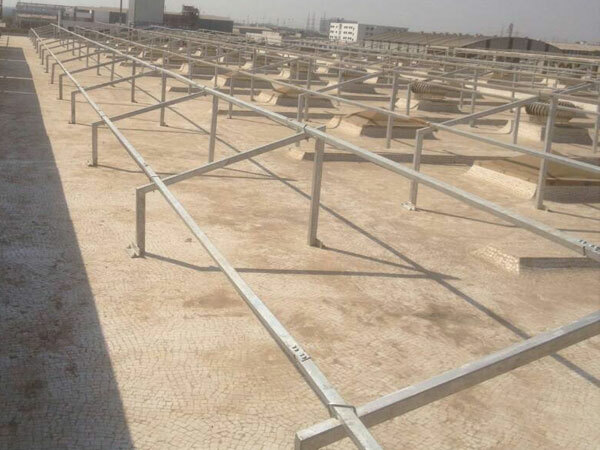 The mounting structures are used to support the solar PV modules. Since the solar PV modules are built to last for 25 years, it is very important to choose the solar PV module mounting structure as it has to support the solar PV module for 25 years. 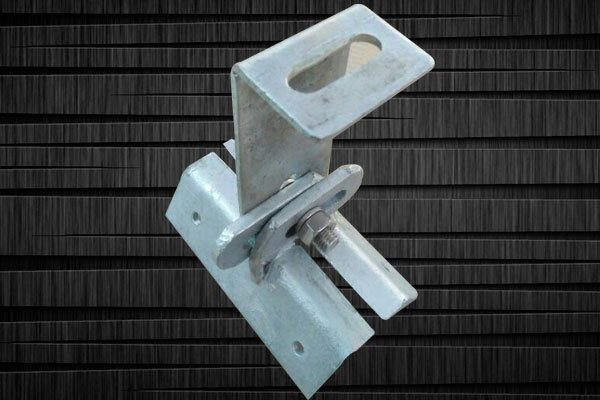 Module mounting structures are made of three types of materials. 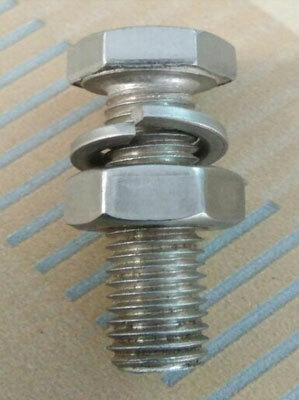 They are Hot Dip Galvanized Iron, Aluminium and Mild Steel (MS). In galvanizing zinc coating is applied to iron or steel to prevent it from rusting. There are several methods of galvanising. The most common method employed in module mounting structure is the hot dip galvanization. In hot dip galvanization, the material to be galvanized is submerged in molten zinc at a temperature of around 449 °C. 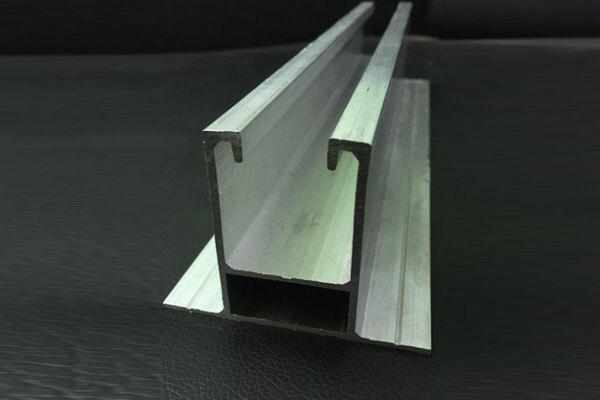 The galvanized material (iron or steel) when exposed to atmosphere, the pure zinc reacts with the oxygen forming zinc oxide which further reacts with the carbon do oxide in the atmosphere to form Zinc Carbonate. The zinc carbonate is dull grey coloured and strong material. It gives protection to the material beneath the coating from any corrosion. 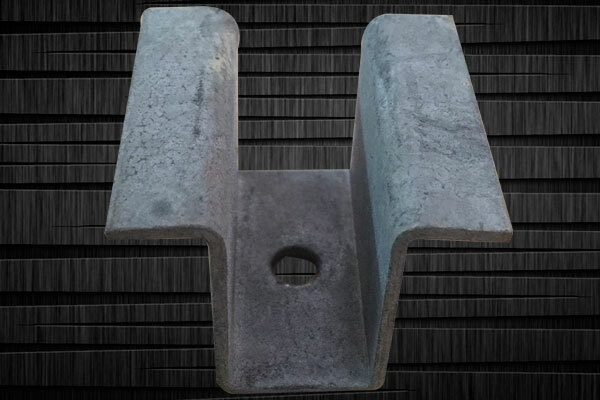 In solar PV module mounting structure, iron is used for galvanizing process. Mild Steel is made by melting iron ore and coal together in a furnace. Once the melting is done, it is moved to another furnace to burn of any impurities. It has very low carbon content ranging between 0.5% to 0.25% in weight. 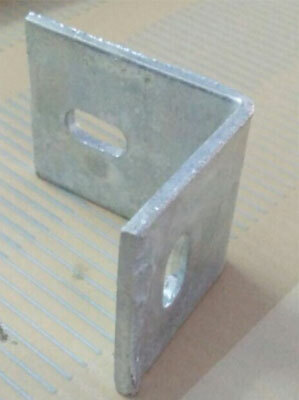 Mild steel is not used very often in case of solar PV module mounting. 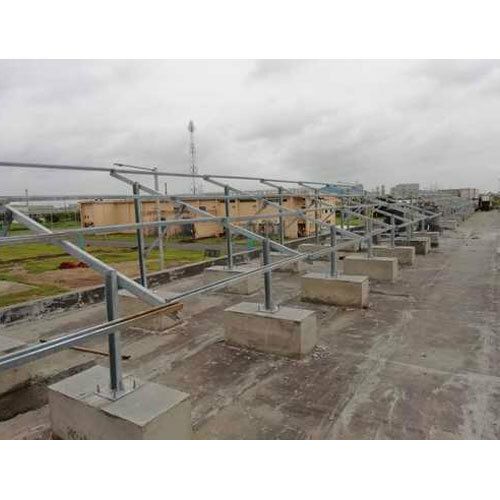 It is usually used in case of not so strong roofs, when there is a need for light weight structures. Mild steel has very less carbon. 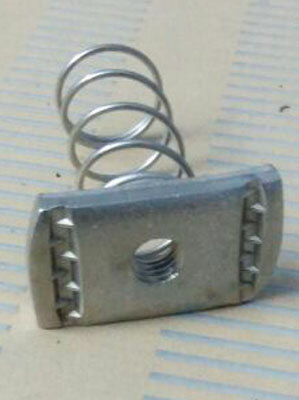 It is very flexible and can be made in to several shapes as it is machinable. 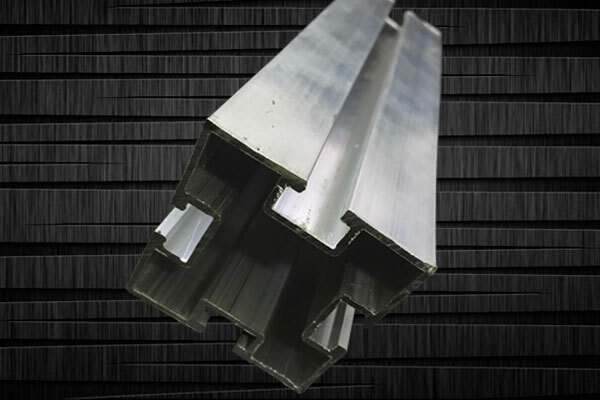 Aluminium is a silvery white, soft, flexible material. 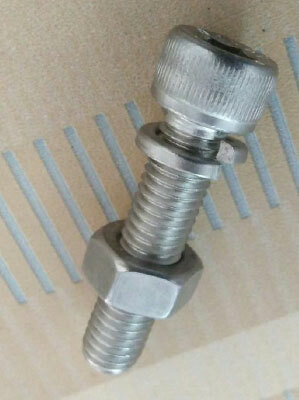 It is very resistive to corrosion and does not corrode easily. 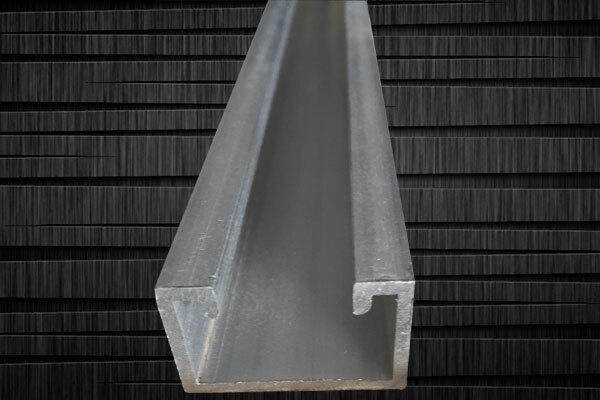 Compared to galvanised iron, this is light weight and cost-effective. There are several types of roof and the solar PV module mounting structure has to be built, keeping the roof type in mind. The types of roofs are described here. 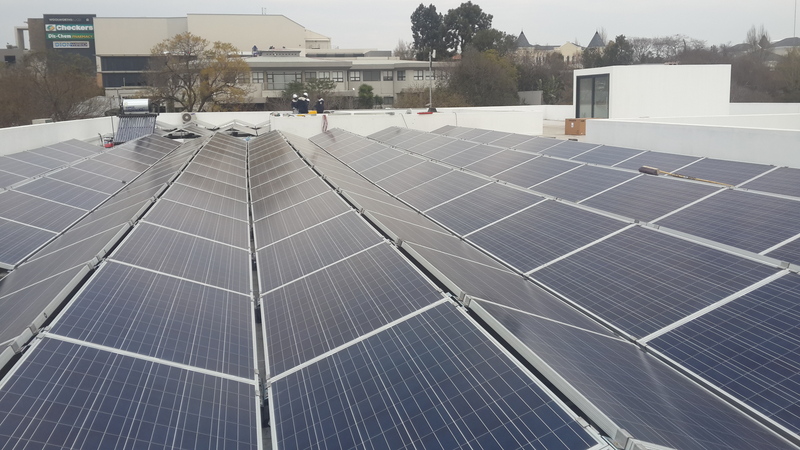 The solar PV module mounting structures are placed on a flat roof. The slope mounted is mounting the solar PV module in sloppy regions. It can be a Concrete RCC roof, metal roof or a asbestos roof. It should be ensured that the roof should be at least 0.7m thick to go ahead with the solar PV installation. 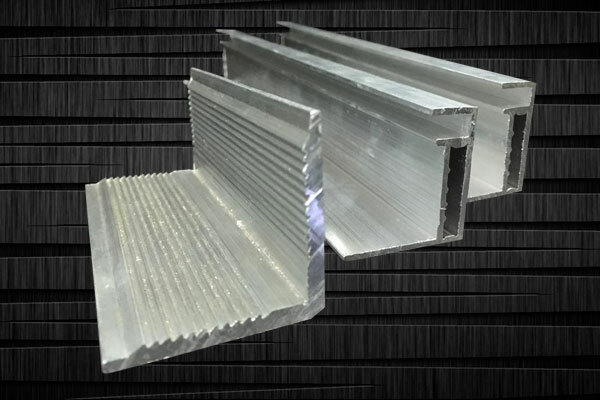 Metal sheets are common among the factories and industries. Asbestos sheets have become obsolete now. However, there are few places where asbestos sheets are still being used. The mounting structure base has to be strong enough to carry the entire load of the solar pV module mounting structure, Solar PV module, other Balance of systems that are placed below the solar PV module. In case of slope roofs and ground mounting, the base has to be drilled into the roof. In case flat roofs, the base can be drilled into the roof or can be concelaed with a concrete. The solar modules should be placed in such a way that most of the sunlight falls on them. The best direction to place the solar modules is the place them facing the equator. This means, in the Northern hemisphere the solar PV modules should be placed facing true south as the equator is lying to the south of the northern hemisphere. In case of regions in the Southern Hemisphere, the solar PV modules should be placed facing the true north as the equator is lying to the north of the southern hemisphere. In case of India, which lies above the equator in the Northern Hemisphere, it is ideal to place the solar PV modules facing True south. In case of Australia, which lies in the Southern hemisphere, the equator lies above it. Hence it will be ideal to place the solar PV modules facing true north in Australia. 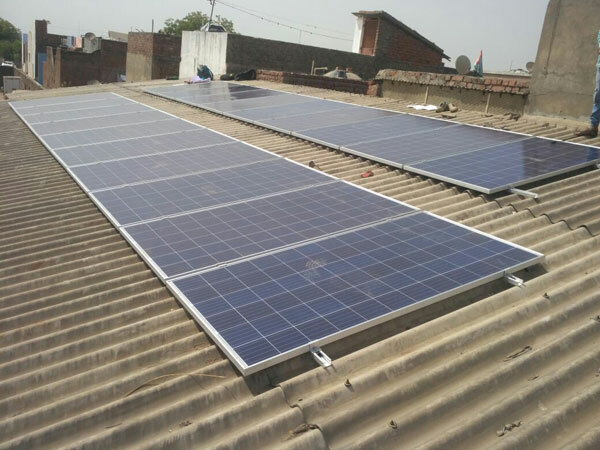 There are also installations where the solar PV modules are placed in wave form in east – west direction and claim have little more better output when compared to traditional true south or true north installations. The earth is slightly tilted at 23.5 degrees. The below image shows the various earth’s position that causes various seasons. Since the earth’s position with respect to the sun is changing throughout the year, it is essential to keep the solar PV module in the right angle and in the right direction to get maximum yield. The angle of inclination is another important aspect to be considered to get maximum power form the solar PV modules. While there are several methods to decide the angle of inclination of the solar PV module, a simple method is to find it based on the latitude. The below table is easy and simple tool to find the angle of inclination. There are solar PV module mounting structures that can be tracked either manually or automatically based on the movement of the sun. 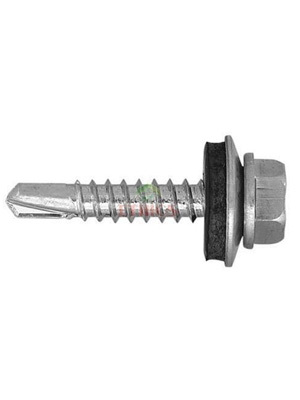 The tracking system is further classified as Single axis tracking and dual axis tracking. 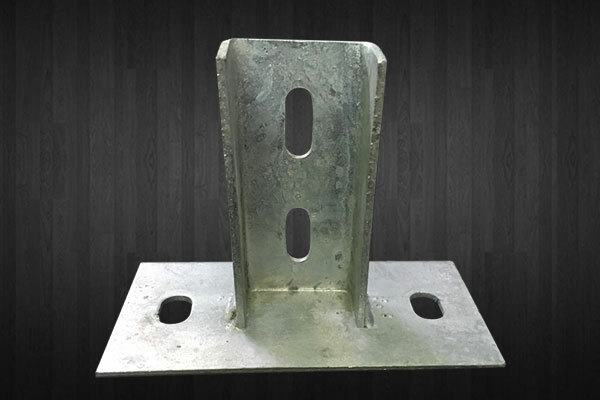 In single axis tracking the mounting structure can be rotated in two directions. The double axis tracking solar PV module mounting structure can be rortated in any of the four directions. In the automatic system, the mounting structure moves throughout the day based on the pre-set algorithm following the sun’s direction. The video below shows automatic tracking system with double axis. The manual tracking systems are moved manually. The movement is done mostly during a change of season when the direction of sun changes. In certain cases, it is also moved daily from time to time, based on the movement of the sun. It is widely used in solar pump applications.